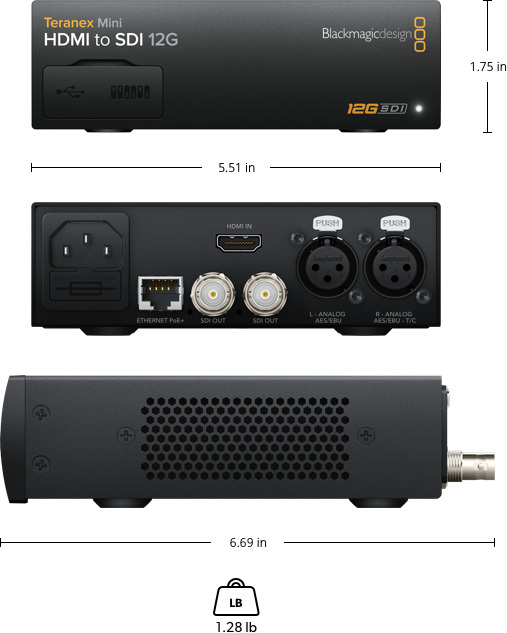 Embed audio from balanced analog or AES/EBU and timecode input. 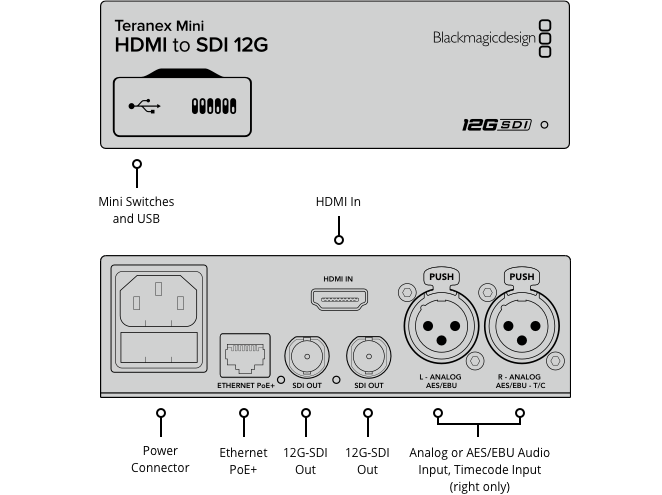 Ideal for converting HDMI consumer cameras to SDI, or adding SDI outputs to computers with HDMI connections. 3 year Limited Manufacturerâ€™s Warranty.